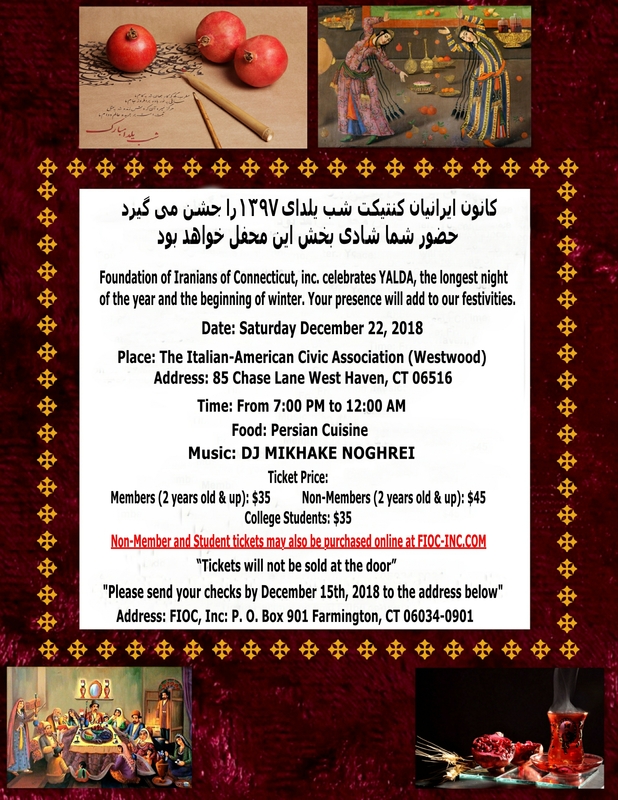 Foundation of Iranians of Connecticut, inc. celebrates YALDA, the longest night of the year and the beginning of winter. Your presence will add to our festivities. "Please send your checks by December 15th , 2018 to the address below"
"Tickets will not be sold at the door"
Home | Events | School | Membership | Contact Us | About Us All Rights Reserved 2018.